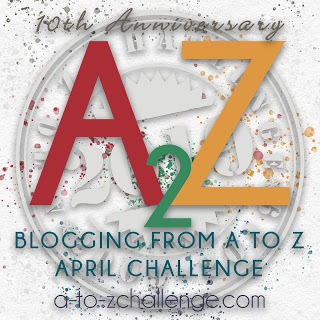 We’re on Day 4 of the Blogging from A to Z challenge. 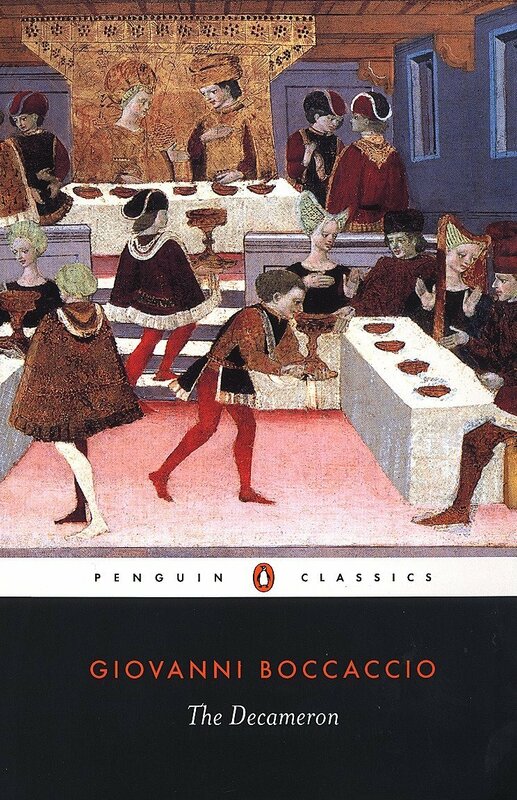 And I have chosen one of my all time favorite reads – The Decameron by Giovanni Boccaccio. As a literature major I was exposed to a considerable amount of literature. Not a particulary diverse set of literature, usually dead European white men. And for the most part I went about my literature studies with a ‘here we go again’ attitude. But every now and then there’d be a jewel. A piece of literature that caught my attention. And one of those was The Decameron. My professor assigned each student a story and then we had to pick another to present to the class. Summary: Masetto of Lamporechio pretends to be dumb, and becomes a gardener at a convent, where all the nuns vie with one another to take him off to bed with them. Summary: A groom makes love to King Agiluf’s wife. Agiluf finds out, keeps quite about it, tracks down the culprit, and shears his hair. The shorn man shears all the others, thus avoiding an unplesant fate. Yes, I enjoy reading The Decameron because a lot of the stories are funny. They’re downright bawdy and filled with debauchery. It predates Chaucer’s The Canterbury Tales by some 35 years (which I also love). And perhaps it can be said that Chaucer was familiar with Boccaccio’s work. Although written in the 14th century and as an escapism from the Black Plague, The Decameron is relatable even in 2019. I remember when I first read it – it was a bit of a shock to read about the shenanigans that were going on. I also liked that of the 10 storytellers, 7 were women. Strong women. Independent women. The following is a trailer for the 2017 The Little Hours movie loosely based on The Decameron. I did Literature at university too, and am glad I did, because there were a lot of books Inwould never have read if they hadn’t been on the list. This wasn’t one of them, but I’ve read bits of it and yes, bawdy stuff. Plenty more gems of this kind where this came from if you’re willing to give a go to the despised “dead white males”! There has to be some reason why people are still reading them. And women wrote too if you look around. Aphra Behn in the 17th century wrote far more plays than Oliver Goldsmith, plays still performed, but he gets the history.